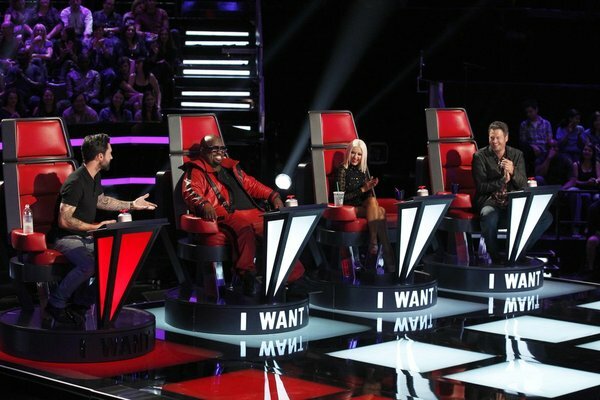 NBC just gave us two pictures from Season 5 blind auditions. Enjoy! Remember, the show formally starts Monday, September 23. Nice pix. They’re wearing different clothes than what the little video clip that’s floating around the internet shows. 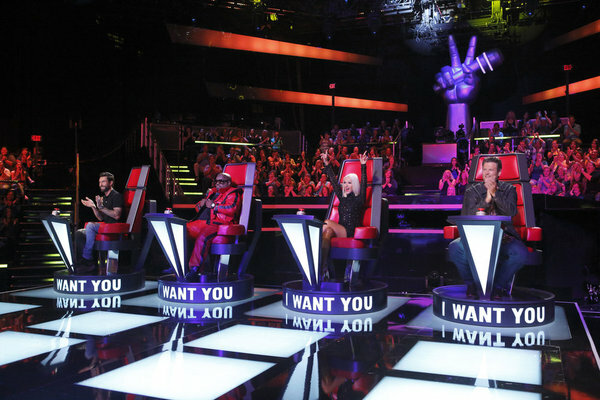 I wonder if this means they’ll actually have them change their clothes from episode to episode during the blind auditions. That’ll be a first.